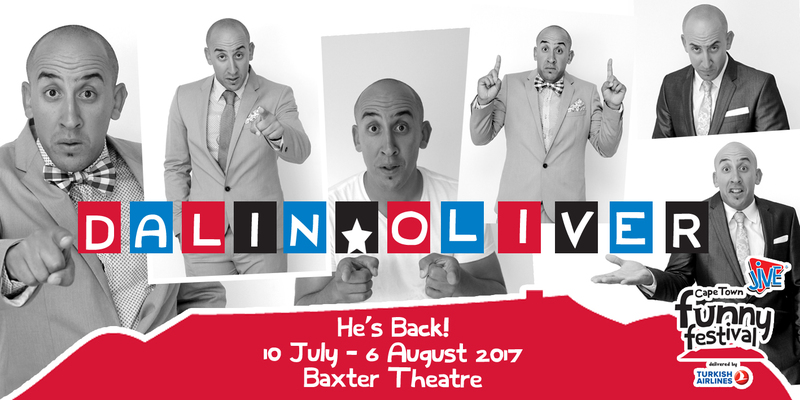 Dalin Oliver is a Cape Town based comedian and the sports presenter on Good Hope FM’s Breakfast show with Nigel Pierce. His passion for the performance arts was trigged in 2010 when he won the UCT leg of Good Hope FM’s Campus DJ Search. A few months later the comedy bug bit and the qualified high school Mathematics and History teacher ditched the chalk board for a microphone and the stage. The 28 year old has managed to capture audiences with his clean cut energetic brand of comedy. Career highlights between 2011 and 2013 include sharing the stage and touring with industry stalwarts such as Riaad Moosa, Barry Hilton and Stuart Taylor as their Opening Act as well as performing at the Funny Festival in 2011. His skill set is broadening daily and was put to the test when he played one of the lead roles in his first feature film, Finders Keepers, which is a South African Comedy, directed by Maynaard Kraak. The movie is set to release in cinemas nationwide in 2017. Dalin is quickly becoming a known face on South Africa’s comedy landscape.